AVM’s new Inspiration CS 2.2 4T has just arrived, and it does everything you need. 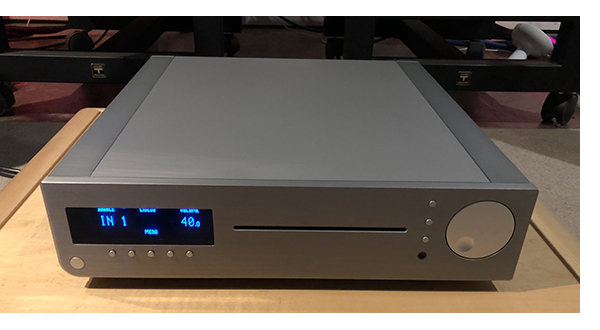 Further pushing the boundary of a high performance audio control center, it allows the ability to play CDs for those still loving the shiny silver disc, as well as a top notch MM/MC phono section for those with a collection of black discs. It’s ability to connect to your LAN, UPnP server or WiFi components leaves no options left to chance. And there’s even an FM tuner! 165 watts per channel (at 4 ohms) offers a wide range of speaker choices, and there is an on board headphone amplifier too. Best of all it is TIDAL and QOBUZ ready, so you are rocking, no matter what the format. We’ve just unboxed the CS 2.2 4T, so watch for our review very soon, and again in issue 91, which will be all integrated amplifiers. Please click here for more information. Previous News Item: Worlds Best Amplifier? PrimaLuna EVO series is here!